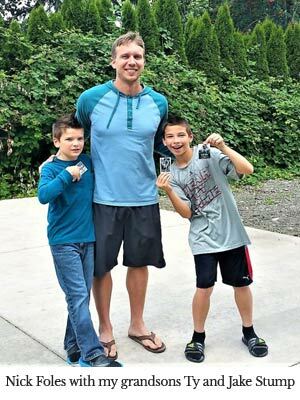 In a recent blog, I shared my appreciation for quarterbacks Nick Foles and Case Keenum, two young men who love Jesus and are committed to honoring Him. I said that I wished both Nick and Case could go to the Super Bowl and win it, but of course that’s not how it works! 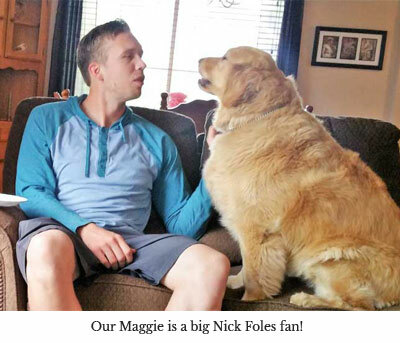 After starting for the Eagles and leading them to the playoffs in 2013, Nick came back to the Eagles this year a backup to quarterback Carson Wentz (another terrific brother). When Carson was injured in early December, Nick took over, and had several good games. Then in the NFC championship game against the Vikings, he had one of the best playoff games in NFL history (over 352 yards passing, 3 TD passes, 0 interceptions, 141 QB rating). I know that the Super Bowl is “only a football game,” but it’s also the single biggest platform, with the largest audience, of any event in the U.S. I’m praying for Nick, that he would be in the eye of the hurricane, experiencing the peace of Jesus. Nick turned 29 last week, so this is a lot of pressure on a young man, but he’s humble and grounded, and I know from interactions with him yesterday that God is giving him great peace. Pray that, win or lose, he and the Eagles believers (as well as the Patriots believers) would faithfully represent our Lord. Seven weeks ago I was asked to speak about Heaven to the Eagles when they came to Seattle. Since they’d had chapel the night before, I was surprised that fifteen showed up, including three coaches. I’d met five of these players through the great ministry of Pro Atheletes Outreach, including Nick, Carson, Trey Burton, and Zach Ertz (Chris Maragos was back in Philly with an injury, but he set it up, and Nick was on the scene to make it happen and introduce me to the Eagles). I was struck by the degree of spiritual thirst I saw in many of these guys. There are believers on every NFL team, but there is something special about this group of Eagles. I’d be delighted if Nick and the team surprises everyone and wins—but the most important thing is that they be faithful to Jesus, and that’s my first prayer. I realize this is very close to the Super Bowl, but let me encourage you to check out Football Sunday, which is produced by The Increase, with Pro Athletes Outreach. Each year they offer a free, professional video presentation featuring several athletes telling their stories and sharing about faith in the NFL. Best of all, it includes the gospel message of Jesus. In previous years many people have responded to Christ through this. Check out this video for more about it. And here’s last year’s full video, to give you an idea of the quality of the production. 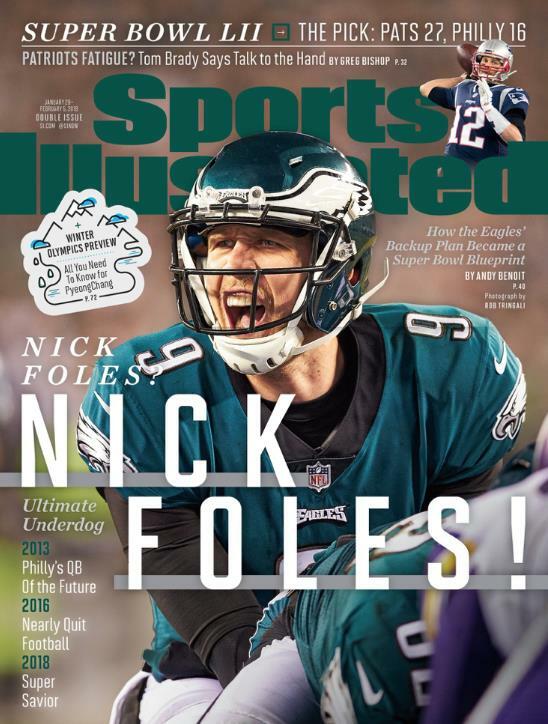 That’s Nick Foles in the picture with his adorable daughter Lily, celebrating the Super Bowl win and being named MVP. Congrats, Nick! Nick said last week that someday, after football, he wants to be a high school pastor. Nick’s a Bible student, loves Jesus, and has a heart for young people. I'm thinking winning the Super Bowl and being named MVP won’t hurt his platform as a youth pastor. Also, check out this video where Nick tears up when talking about playing well for his daughter and setting an example. Probably the greatest game in Super Bowl history, certainly the most yards ever in a game, regular season or playoffs or Super Bowl or any game. Incredible. If NFL MVP went to a team position not an individual, it would go to "Eagles QB," combining the seasons of Carson Wentz and Nick Foles. Amazing guys with amazing seasons. I love both these unapologetic followers of Jesus, humble and quick to give Him glory. Thanks, Zach and Nick and Doug, for giving praise to our sovereign and gracious Creator and Redeemer and King. Was a joy to lead a Bible study on Heaven in Seattle 8 weeks ago with 14 Eagles, including Nick, Zach Ertz, Carson Wentz, Trey Burton, Coach Pederson, and Offensive Coordinator Frank Reich. So happy for all of these brothers. “So, whether you eat or drink, or whatever you do, do everything for the glory of God” (1 Corinthians 10:31, CSB). There are many Christ-followers in the NFL, more than most people are aware. Through the ministry of Pro Athletes Outreach (PAO), in the past few years I’ve been able to speak to and meet hundreds of them, and develop personal relationship with several dozen.